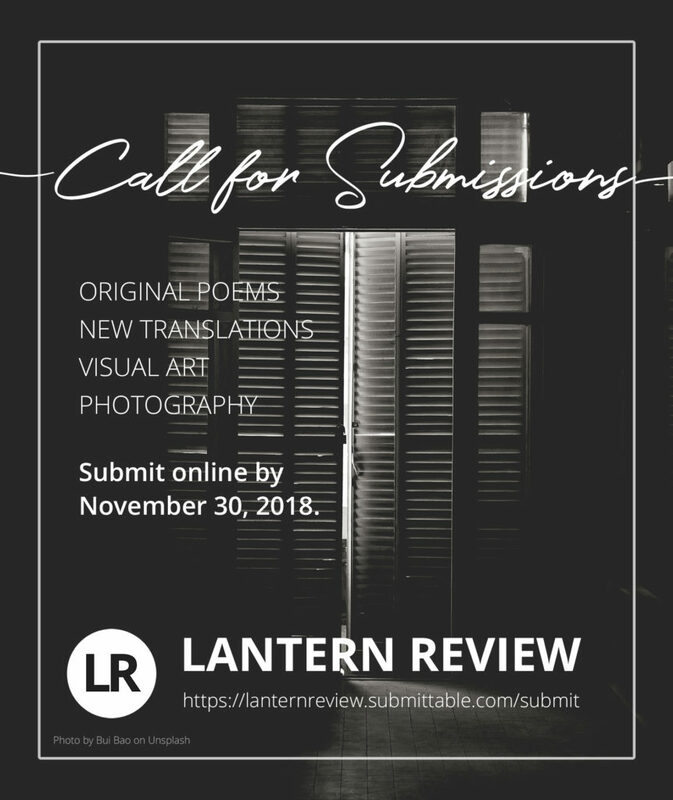 Fall 2018 Open Submissions Closes Tomorrow! Happy Thursday, LR family! We’re coming at you this brisk fall morning with a quick reminder that our open submissions period closes tomorrow evening (November 30th). Our thanks to everyone who has submitted so far; it’s been so exciting to watch your poems, translations, and visual art pour in over the course of the last couple of months, and we can’t wait to dig in and start reading in December. And if you haven’t yet sent us anything, now’s your chance! Head on over to our Submittable page and send us your best before the end of tomorrow. We look forward to seeing your work! Ready to send us something? Click here to submit your work via Submittable.